With not another soul in sight, I am in my element on the Sunshine Coast in Queensland, Australia. The beaches are perfect, the sun shines brightly, and the water is warm…this is the Sunshine Coast! 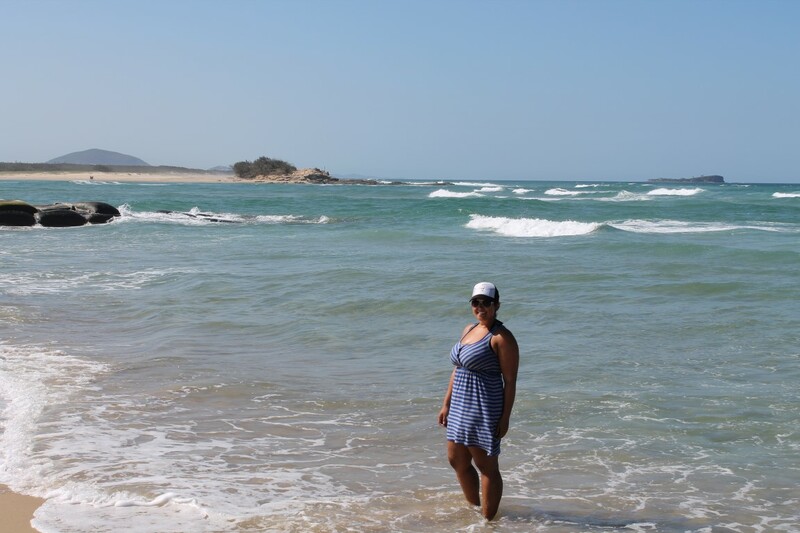 This entry was posted in Australia, Oceania, travel and tagged Australia, Beach, Maroochydore Beach, ocean, Paradise, Queensland, Sunshine Coast, Travel, Turquoise Compass by Turquoise Compass. Bookmark the permalink. Couldn’t get much better than this. This is the life. Smiling, and happy. Hi , We are holding a press Conference at 2pm today to discuss 40 years of Speed Sport and the exciting plans for this year . One of our major announcements will be the appearance of Richard Petty , The King of Motorsport , on Friday , April 11/14 from 7-9 pm along with a display from his Petty’s Garage . For sure I want to do the contest with you , wish you were closer , but you look happy in the sun ! Thanks , Greg . Hi Greg, I shared this exciting information on my Facebook page! Let’s start planning another contest! Yes, any place that makes me smile is a wonderful place to be Irene. Amazing! My favourite spot is Noosa with its European vibe on Hastings Street and the golden Queensland sunshine – best of both worlds! Hey Juliet, Thanks for stopping by the blog and commenting. Noosa is amazing as you know! I didn’t want to leave. Have you done a lot of traveling in Oz? You got it, and how I like it. There is something serene and calming about being alone. Watch out for the box jellyfish! I think they are still in season. And do enjoy the warm water. We found a dead mouse in our birdfeeder today. Appears he froze to death, poor thing. See what you are missing? Yeah, I heard about the blue box jellyfish when I arrived and YES they are in season. I have been keeping my eyes out, luckily I’ve only seen them on the beach and not in the water. Hmmmm frozen animals vs. deadly stingers… haha See what you are missing?